What's Hot In 2015! The Daily Nest: What's Hot In 2015! So it's now 2015 and if you are like me you like to start the year off with a clean slate. In decorating I mean. After Christmas what I like to do is put all my Christmas decor away, have a MAJOR clean, then start clearing away all the other clutter. And by clutter I mean I take most of the things off the walls. Move off all the little nick knacks from the tables and pile it in a corner. I like to call this, "Room for my room to breathe!" or editing. Just let it sit like this for a few days. Then slowly start rethinking about your things, and your stuff, and your nick knacks. Ask yourself, "Are those things that you had to have in 2014 still your favorite?" If you look at your pile and think to yourself, If I saw this stuff in the store I wouldn't buy any of it! Then pitch it! Now you need some new stuff! Right? Right! So what will be hot in 2015? Here's a few ideas to get you going! It's kind of refreshing to think that we no longer are limited to stainless, brushed, or chrome. It's a chance to give your home a little bling and jazz it up a bit! And you can mix and match as well! Fun! I love cowhide and feel like it gives your room a sophistication. 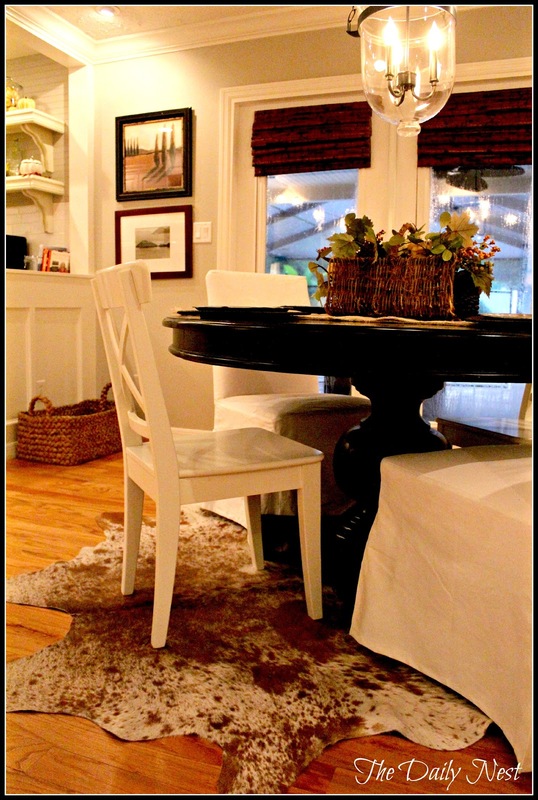 There are many ways to bring cowhide into your home through rugs, pillows, throws, even art. Wallpaper is making a comeback and I couldn't be more happier! 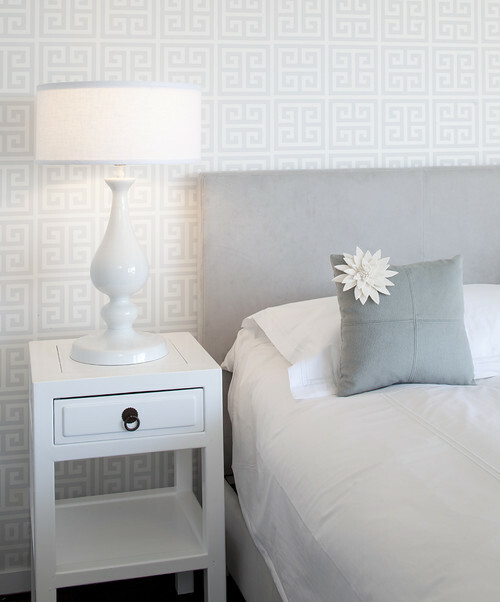 I love the fact that you can bring in so many colors and textures to your room with the simple use of wallpaper. 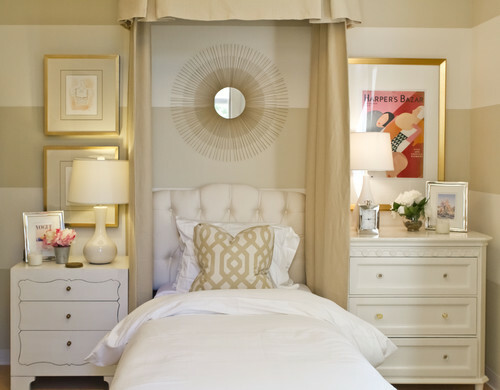 This soft Greek key pattern is beautiful in this bedroom. The color of indigo is still hot for 2015! Blue is such a classic color and also goes well with the Pantone color of the year Marsala which is a deep earth tone. If you're intimidated of color start with accent pillows or if you're a little bolder such as Michael from Inspired By Charm does in his colorful living room, then go for it! It's all up to you! This trend is a throwback to the 1950's through the 1970's. So the Brady Bunch house is yes, back in style! Marsha, Marsha, Marsha! Sorry I couldn't resist! It's definitely not my favorite trend but I do like some elements of it. 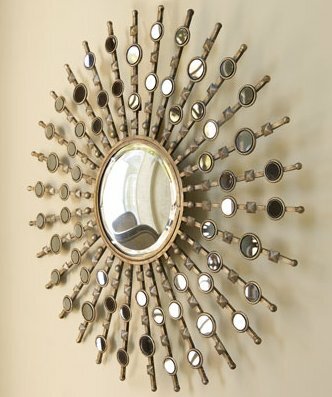 This starburst mirror is a trend that I like that would be considered Mid-Century Modern. I even see some elements in Nate Berkus' line from Target. 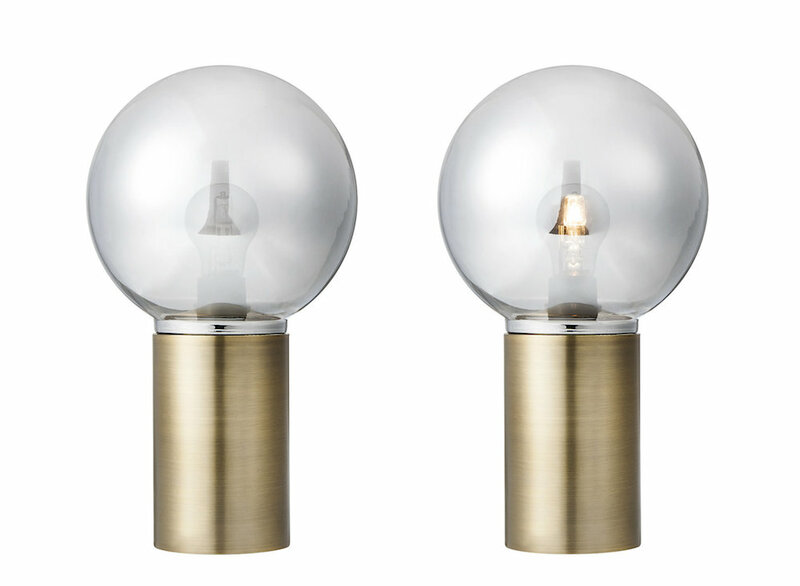 With macrame wall hangings and his modern take on the Edison bulb in these brass beauties. 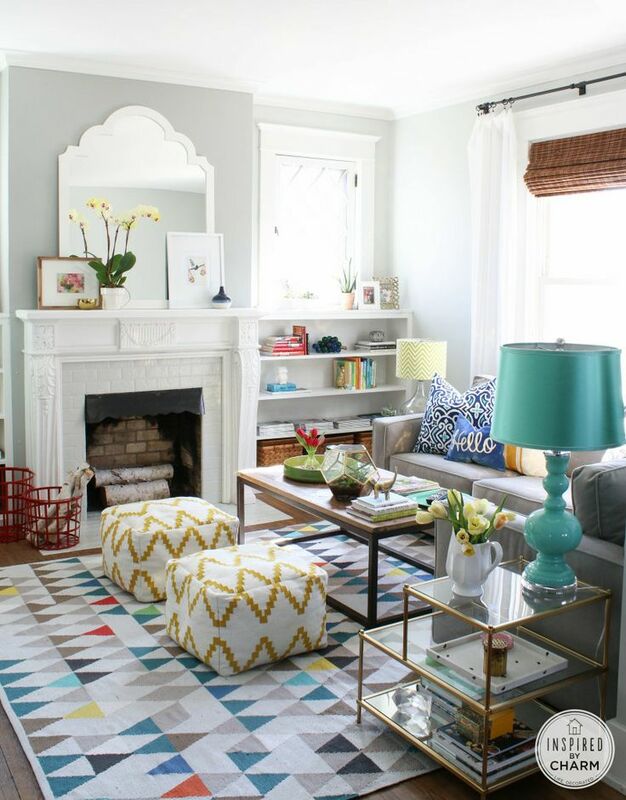 So mix it up, take a chance, play around with decor! Let's see what 2015 has in store!